Many chILD children need additional care and attention. For those children who require oxygen or feeding supplementation, travelling can be a challenge. From visiting friends or family, a day out or even nipping to the shops; all of these trips may require planning. Once a child’s health becomes stable and the family learns to manage with their child’s additional needs, they may wonder about a family holiday. Travelling and holidaying within the UK can be relatively easy with some organisation however, please check with the child’s clinician before booking. Traveling abroad requires even more planning. If travelling by airplane, the child’s clinician may wish to check if the child is fit to fly. One important aspect of travelling abroad is Health insurance. There are many providers (please check out our list below) and also you may with to apply for a European Health Insurance Card (which is not a replacement for health insurance). Also, check with your bank or building society if you have additional extras on your bank account. 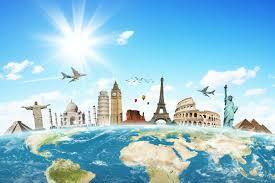 *Please note that prices between providers will vary so always get several quotes for travel insurance.